The aim over the next few months is to collect data on different top ten genres of Amiga public domain games starting with platform games. 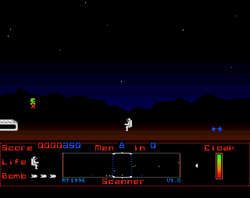 8 Bit Remakes is the sixth genre to be added. 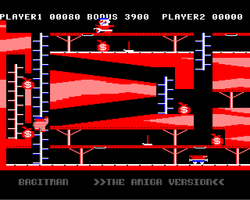 There will be 10 genres in total to produce a top 100 list of Amiga Public Domain games. If the quality of games exist the list may then grow to contain a top 200 !!! 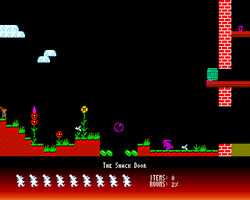 If you can't see a great Public Domain / Shareware - 8 Bit remake you used to play then added it to the comments box and I will try to add it to the list. A brilliant Jet Set Willy Clone. 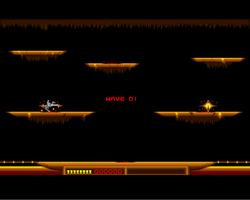 Classic 8 -Bit shoot em up fun. 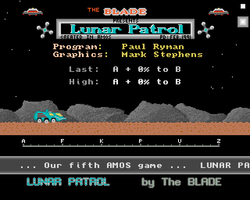 8 Bit arcade adventure classic right down to the graphics. Mid air combat between knights on flying beasts. A very good version of the BBC Mirco game Thrust. Grab the money bags and put them in the getaway cart whilst avoiding the guards. 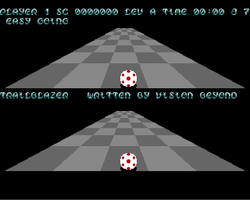 Update of C64 game where you move your ball along a tiled courseway. 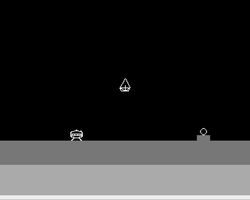 Move your buggy along the moon avoiding obsticles whilst shooting space ships which are flying above. 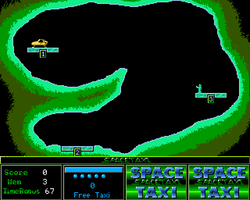 Update of the C64 game where you move your taxi across the galaxy collecting fares. Is it cheating to have two Jet Set Willy clones in the top ten - they are both cracking versions. Below is a selction of images of the 8 Bit Remake games. Check out the PD Game Download section to try out some of these games.